Mary Jekyll’s life has been peaceful since she helped Sherlock Holmes and Dr. Watson solve the Whitechapel Murders. Beatrice Rappaccini, Catherine Moreau, Justine Frankenstein, and Mary’s sister, Diana Hyde, have settled into the Jekyll household in London, and although they sometimes quarrel, the members of the Athena Club get along as well as any five young women with very different personalities. At least they can always rely on Mrs. Poole. Another engaging adventure by The Athena Club. 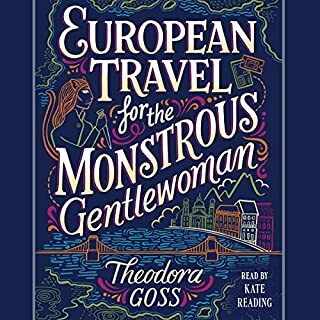 Considering that overall this cast of characters is set in London, and written by an author born in Hungary, but raised in the US, this doesn't fall into many of the traps of similar books, which lapse into American grammar on a regular basis. There are odd moments that single it out as American, but they are few and far between, and certainly don't detract from the story. The narrator again does a good job at the English accents. Very few American narrators can manage this feat. As with the grammar, there are the odd word that is a give-away, but again, not enough to detract from the story. The Athena Club; set up at the end of the first book, find themselves in Europe, trying to help another young lady. Sherlock Holmes doesn't feature as much this time, which I think is a good thing, because it allows the characters to grow into themselves much better. While his help worked well in the first book, to have him too involved in this tale would have made the role of the strong women almost meaningless. It isn't a swashbuckling story from beginning to end, but its cast of characters are cleverly woven together in a tale that keeps you interested until the final conclusion. I'm hoping we'll get many more adventures of The Athena Club, as they could easily carry many more stories of adventure without them becoming stale. If you've seen the film, you should enjoy this story. It's not based on the film, however, it is good enough to stand alone as a different tale altogether. As the Commonwealth produces more starships and increases recruits, victory begins to slip from Theocratic control. This can only make the Theocracy more desperate to win...and more dangerous to fight. 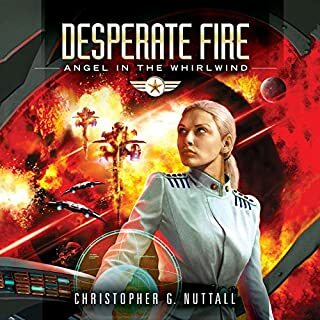 After a mission to liberate an occupied planet ends in nuclear devastation, Kat Falcone - now a commodore in command of HMS Queen Elizabeth - sees firsthand just how far the enemy will go. There's more to be told. Disappointing end to the books. I had hopes for the end of the series, but it left unanswered questions. Then, I find out online there seems to be mention of other future books set in the same universe that might answer said unanswered questions; I hate expecting to reach an end of a series with questions answered, only to find parts of the end dangling, it seems too much like a marketing gimmick. Plus, I found the comparison to Islam way too obvious, and insulting. I know it's happened throughout history... the Germans and Japanese after WW2, the USSR and other communist countries from the 1950's until the 1990's. Now Islam. However, to my mind it is lazy to fall back on the current bad guys. No thought needs to go into the characters, and so I never get to relate to them on a more personal level. The good points are it was an interesting idea, and there are far to few female lead characters out there, so it's always good to see some attempts made to correct that imbalance. The overall writing was good, not marred by the truly awful editing that can let a lot of good ideas down. Plus the narrator was okay. Not the best, but I've heard a lot worse. Overall it left me feeling, 'meh'. So even if future books do answer questions like who had been in charge of the behind the scenes Government meddling, I'm not interested enough to find out whodunnit. Such a shame, because after the first book I did care enough to know. I ended up loving this book. I think the narrator did a great job. 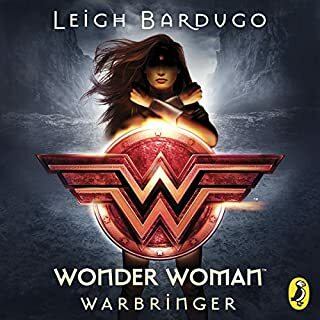 She managed to convey the innocence of a young teenager, yet that moved onto a more mature footing as the main character learnt more of her own history, I guessed where some of that history information was heading, but it still didn't spoil the book. There was also some superb work by the narrator in making so many different characters come to life. Don't be put off thinking this is a novel just for youthful people. There's a smattering of some bad language (odd words only) that drags it into the adult sphere. And it's skillfully added language, which is right within context. 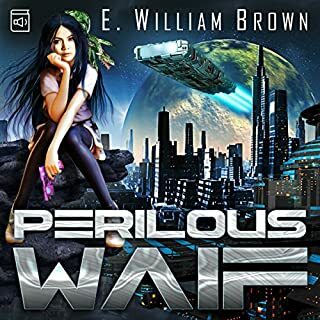 I truly hope this combination of author and narrator do future books, hopefully even expanding on this realm. In summary; a really nice story that was over all too soon. 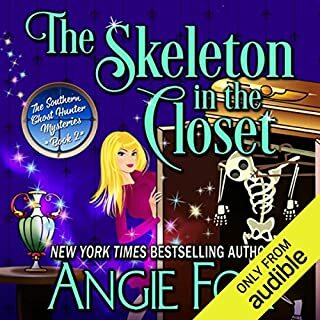 Plus a narrator who has firmly placed herself into my top 5 narrators. I'm only disappointed the UK Audible site doesn't have more of her works in their library for us to buy. 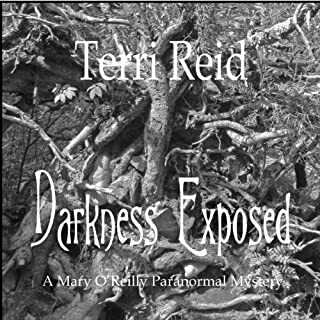 I love 'The Haunted Guesthouse' series by this author. As well as the narrator being the same for those books and this one. A perfect way to get me to try the new book is to bring the two together again. So much so, I had this on pre-order, and once it was in my library I listened to the story in less than 24 hours. 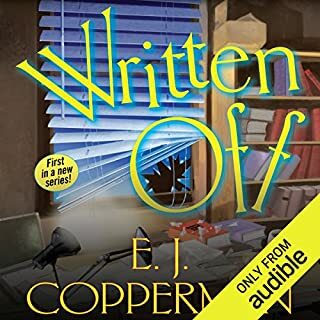 It is a different genre to what I have heard from E. J. Copperman before, but I wasn't disappointed. The official summary does the book justice, so I won't repeat that. I liked the fact that this is engaging enough to keep you interested. Yet is light enough to not be too taxing, giving you a good listen when you want something fun, but still with a bit of substance to the overall story. This is tagged as the first book in a new series, and (hopefully without giving anything away) I'm looking forward to finding out if they can solve the mystery of D.M. I like the narrator, and she does a good job of keeping the main character upbeat. It was nice that her voice didn't have me thinking of any other books she's read, because in the past I have found that can be distracting with some narrators. The engineering quality was also good - which is something that can be seriously lacking with some of the downloads from Audible. All in all, I was pleased with pretty much everything this book had to offer. When you've been accused of kidnapping an emperor, and every enforcer in the city wants your head, it's hard to prove yourself an honorable person and even harder to earn an imperial pardon. That doesn't keep Amaranthe Lokdon and her team of outlaws from trying. When athletes start disappearing from the Imperial Games, they may finally have an opportunity to show the emperor that they're on his side. If she and her comrades can get to the bottom of such a public mystery, they're sure to get the credit. Lindsay Buroker is becoming a firm favourite. I only wish more of this authors' books were on Audible. Great steampunk cross fantasy author. Not to be missed if you like steampunk/fantasy books. All the books I've listened to so far have left me wanting more. 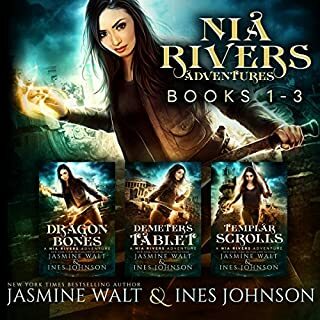 My only complaint is that the few final books in this series are not on Audible, therefore to finish the story you need to buy the books from Amazon. I'd happily buy them on Audible, and I really hope they're in the works. I hadn't heard the narrator before, and she does a pretty good job. 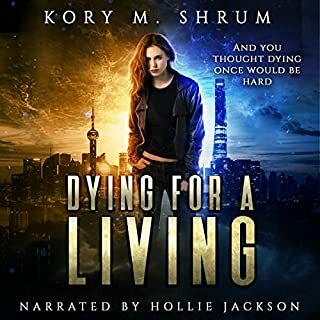 The only let down is a common complaint I have with a lot of Audible downloads - and that is that the engineering quality is often lacking, and you can tell where splicing has taken place with some of the editing. That loses this review a star rating on performance. Not because of the narrator though, if it was based purely on her performance it would rank a full rating. 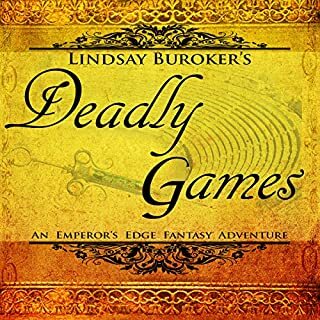 Apart from that, I have got totally hooked on what Lindsay Buroker writes, and seriously hope the rest of her books will soon become audio books. I came across this by chance. And was glad to have found it, because it was better than I thought it might be. Having listened to a couple of humdrum books in this genre recently I wasn't expecting much. However I was pleasantly surprised. The humour was not too overwhelming, allowing for a fairly decent criminal plot within the story to develop. The heroine has her sarcastic moments, but I think given her background she's allowed. The people that surround her care for her as well, and she finds out how much they genuinely care by the end of the book. I won't say more, because that would lead onto spoilers, which I personally don't believe in doing. The narrator is good. It was going through her catalogue that led me to this series of books. Hence the purchase because I think she's better than a lot of narrators out there, and she's fast becoming a favourite of mine. Overall Jesse is a character you want to support, and you find yourself wondering what will happen in her life next. For me that means I'm more than happy to purchase book two in the series to see where it goes. Jeannine appeared in the room across from Mary. Her face was streaked with tears and she was visibly trembling. “Mary, I remembered,” she cried. “I remembered and it was awful.” The time has finally come for Mary to investigate Jeannine’s murder. As all clues point to someone in Bradley’s old neighborhood, Mary and Ian move into the former Alden residence and pose as newlyweds to set Mary up as bait for the killer. Niggles become flat out mistakes! With the first books I reviewed in this series I mentioned the problems I had with the overall product. Namely that although overall these series of books are right up my alley, there were a couple of niggles I had with the first book. However I decided to give the next two books in the series a go. Although the problems remained they were small enough that I might have overlooked them and carried on buying the next couple of books. Unfortunately in this book those early niggles have turned into flat out errors! I'll start with the previous issues. The first is the narration. It's stilted at times, and pretty much delivered in the same tone throughout. However the biggest problem I had was the references to some of the storylines in the previous books. If you haven't listened to those books then those references are hard to put into context as they don't seem fully explained. So, onto the glaring mistakes. In this book Mary and Ian go undercover in Bradley's old house. When Mary asks who now owns the place Bradley explains he couldn't part with the house. Okay, so he lost his home. Yet suddenly here it is in his possession because emotionally he couldn't sell the place? Mistake number two. Now, without seeing the print version I have no way of telling if this is a recording/narration error, or if it's a written error. But it's still an error. We're introduced to several new characters who were Bradey's old neightbours. Including a character with the first name of Gary. Fine so far, but the confusion come with his surname. It's pronounced both Cooper and Copper. And not just once either. Frankly it's hard to know which surname to give him. I'm guessing Copper because that is used a bit more than Cooper, but don't quote me on that. So sadly I'm not buying any further books in the series. Which is a real shame. I like Mary. I thought the overall premise had potential. But when you get books littered with mistakes, then you're not getting value for money.